Substance abuse affects millions of Americans each year. Through Red Oak Recovery®’s drug treatment, you can overcome your substance abuse in a peaceful and comforting environment. Many users have fear of entering treatment with thoughts such as, “how do I control this?” However, with the support of our clinical team, you can regain control of your life and gain the confidence to carry on with treatment, recovery, and sobriety. At Red Oak Recovery®, you will never face your substance abuse issues alone. Our staff has the training and spirit to ensure you feel comfortable and confident during treatment. 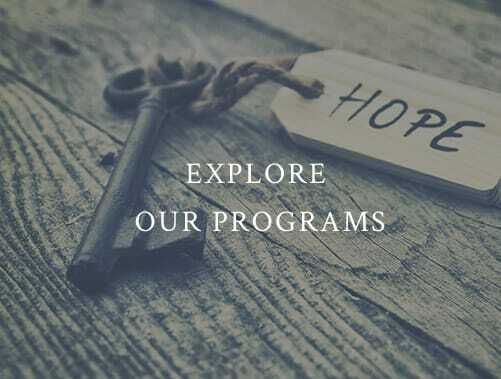 Furthermore, our proven programs will help you develop an understanding of your substance abuse while giving you the tools for success in recovery. Our men’s rehab program and women’s rehab program both provide the specialized care you deserve. Recovery is different for everyone, and our gender-specific treatment will include a distinct rehab plan for each individual. We believe it would be a disservice to our clients if we only treat the person and not his or her family as well. As parents and family members, you may develop uncomfortable emotions and fear during your loved one’s rehabilitation and treatment. At Red Oak Recovery®, we will provide the resources to reconnect with your loved ones and gain an understanding of substance abuse, trauma, and mental health issues. Trauma, grief, and disconnect are often found in family members during a loved one’s treatment, so it’s important to address these family issues in a safe and comforting atmosphere. Our men’s program at Red Oak Recovery® is one-of-kind. At our 32-bed men’s campus, you’ll have the ability to experience the stunning views and peaceful wilderness of Leicester, North Carolina. From spacious living areas to outdoor patios, our facility is designed to give you the peace and relaxation you need during treatment and recovery. Moreover, we give you the opportunity to enjoy some positive alternative activities during recovery with adventure and outdoor events. Known as The Willows at Red Oak Recovery®, our 20-bed women’s campus is elegant and relaxing. Along with therapy and treatment, from meditation to yoga, you can free yourself from your substance abuse, trauma, and mental health issues for good. The beautiful landscape, which you can see for yourself on our photo video tour, and our amazing staff at Red Oak Recovery® make for the perfect environment for your recovery. Having the support you need is vital, but the location and atmosphere can play a huge role in the success of your recovery. Are you ready to take on moving towards treatment and recovery? If so, you’ve made the most important step of all. Entering treatment is a difficult, yet necessary and courageous, decision. To begin your journey today, call us at 866-457-7590 for more information and admissions.